We will have an audition in May at Kyoto. Check now Audition page! Kamisato will perform his lecture performance with Argentinian Asado and Onigiri! From 9th to 17th of February at CASACO in Yokohama for TPAM in Yokohama. 2 shows will be performed in English. Kamisato starts to bring his writing out on web biweekly about researches in communities of Nikkei in South America. The book of “The Story of Descending the Long Slopes of Valparaíso” including some other scripts will be published in April 20th in Japan. 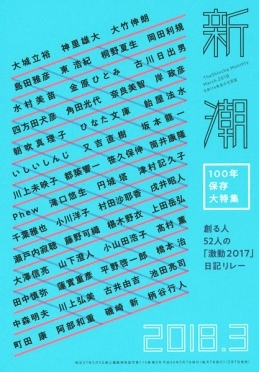 “Diary Relay of 2017” which 52 creators write diary of each week in 2017, and Kamisato wrote 2nd week’s of January when he stayed in Santiago de Chile and some towns in Mexico.